So this is how you can use ajax validation with an AngularJS directive to check if a username is already in use (by another registered user). 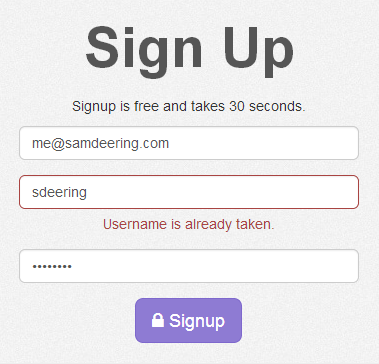 //checks if a field is unique (ie email or username on signup). //checks if a value is unique for a field in the users table. //TODO: add csrf token to these requests. As you can see from the console result the check is working like we want.